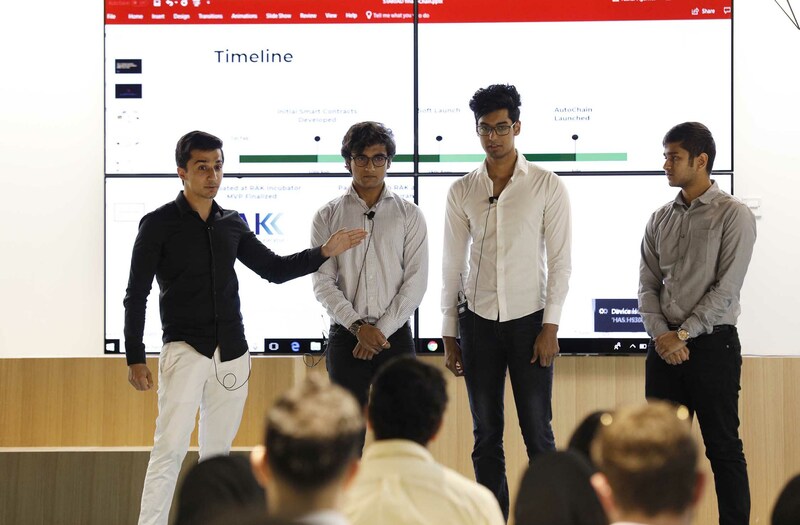 ABU DHABI, 18th April, 2018 (WAM) -- startAD, the innovation and entrepreneurship platform anchored at NYU Abu Dhabi, held a Start-up Showcase event for the inaugural "Beyond the Pitch Programme" on Monday, 16th April, at NYU Abu Dhabi. 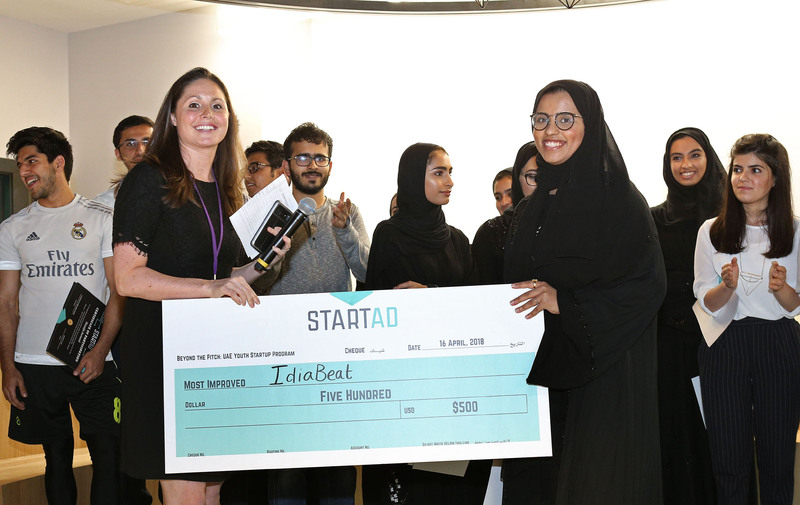 The ceremony marked the completion of a six-week journey, with 17 student teams from more than 11 universities across the UAE convening as finalists at startAD’s co-working space to showcase their start-up projects spanning society, education, health, mobility, sustainability, and happiness. The teams pitched their start-ups under the theme "Made in the UAE." The showcase concluded with grants awarded to three winning teams across three different award categories. Project Vision, from Manipal University Dubai, was awarded US$3,000 in the category for Best Business Model for their virtual assistant app. The grant will be used to further develop their concept, which seeks to aid the visually impaired in their day-to-day activities through artificial intelligence. Winning $1,500 for Best Presentation was AutoChain from RAK Incubator, a decentralised application that is built on the Ethereum block-chain with a goal of creating UAE’s first block-chain car platform, while IDiaBeat from UAEU won $500 for being the Most Improved Business Model presented with their innovative glucose monitor for diabetes regulation. Keynote speaker Dr. Mohamed Rashed Alhameli, the Director-General of the Abu Dhabi Executive Office, offered poignant remarks on the importance of the continuity of new ideas and new concepts in the local business landscape. He described the UAE as a hub for new ideas in the region, where there are real opportunities for future innovation constantly being developed. As one of the core programme offerings of startAD, Beyond the Pitch was conceived with a mission to further UAE’s Vision 2021 of "nurturing and supporting a new class of entrepreneurs" among citizens and residents of the UAE. The participants in the six-week programme received the knowledge and mentorship to help them evolve as the driving force of the fast-growing local start-up ecosystem. Ramesh Jagannathan, NYU Abu Dhabi Research Professor of Engineering, Vice Provost for Innovation and Entrepreneurship, and startAD Managing Director, said, "As the UAE is shining the spotlight on turning its economy into a thriving entrepreneurial economy of the 21st century in the region, it is imperative that the capacity-building process originates organically at the higher education institutions. Beyond the Pitch is specifically tailored to enable and immerse UAE college students in the exciting world of innovation and entrepreneurship for them to learn and apply business literacy heuristics to their ideas."